…Mr. Maduekwe deserves celebration for keeping his head when most people around him were losing theirs. A person of his ethical disposition and moral spine shows that it pays to do the right thing. I have often argued that Nigeria’s political arena is designed for the criminally minded. That criminal compulsion is often evident in elections, where candidates deploy ill-gotten cash, recruit heavily armed thugs, and use other forms of illicit manipulation to steal votes. It’s bad enough when rogue politicians cheat in general elections. Curiously, too many politicians bring their fraudulent maneuvers to primaries, a contest between aspirants from the same party who seek to represent their party in a broader election. One of the scandals of politics in Nigeria is that political parties charge exorbitant fees for nomination forms for every elective office, from local government councilor to the presidency. Yet, after collecting these fees, party officials often stage a scam instead of a credible primary. Quite simply, they impose one of the candidates—often the least popular or viable, but one backed by a powerful political godfather or godmother. The cheated aspirants are hardly ever reimbursed the steep fee they paid for a chance to jostle for a ticket. Often, the disinherited candidates skulk away to a corner to sulk quietly. If they complain loudly or, worse, head to court to seek justice, they are accused of disloyalty and charged with anti-party activities. Dreading the backlash that comes with such stigma, many a Nigerian political aspirant, when defrauded by their political party, remains mum. Thank goodness that, on occasion, we encounter a political figure who refuses to quietly stomach injustice—one so averse to political scams as to mount a welcome challenge to the depraved protocols of Nigerian politics. One such principled dissenter is Chike Maduekwe, a fine lawyer and constitutional expert. I have also known Mr. Maduekwe well enough—for more than three decades—to judge him a deeply principled man. In 2015, Mr. Maduekwe sought the senatorial ticket of the Peoples Democratic Party (PDP) in the Anambra Central senatorial zone. An enterprising lawyer, he scraped together the N4.5 million the PDP charged each senatorial aspirant who wished to take part in the race to be the party’s flag bearer. He had expected the party to live up to its obligation to conduct a credible primary. In retrospect, his expectation was wishful thinking. Some of the party’s powerful members, in Abuja and Anambra, had handpicked Mrs. Uche Ekwunife as the party’s candidate. And these powerful elements were in no mood to subject their favoured candidate to a vote of any kind. When the day of the primary arrived, some party officials congregated with Mrs. Ekwunife at a location unknown to the other candidates—and simply announced that she had won a primary that never held. The PDP’s absurd declaration of Mrs. Ekwunife as the winner of a non-existent primary triggered a series of ludicrous aftershocks. Once they got a whiff of their party’s treachery, most of the other senatorial candidates retired to separate hotel rooms in Awka, capital of Anambra State, and issued press statements asserting that they, too, had won “primaries” that held only in their crooked imagination. The lone exception was Chike Maduekwe. Despite intense pressure from his supporters and campaign staff, he refused to be infected by the madness that had swept up his opponents. He was unwavering in arguing that the PDP had failed to keep its word, that the party had betrayed its promise to hold a real primary. Mr. Maduekwe’s reasoned and admirable stance—his insistence on retaining moral funds and maintaining his poise when others around him were dancing to their illogic—earned him the moral and legal standing to approach a court for justice. In obtaining a judgment against the PDP, Mr. Maduekwe has become something of a pioneer. Thanks to his victory, going forward, the PDP and other political parties know that they can no longer afford to stage shameful hanky-panky in the name of primaries. 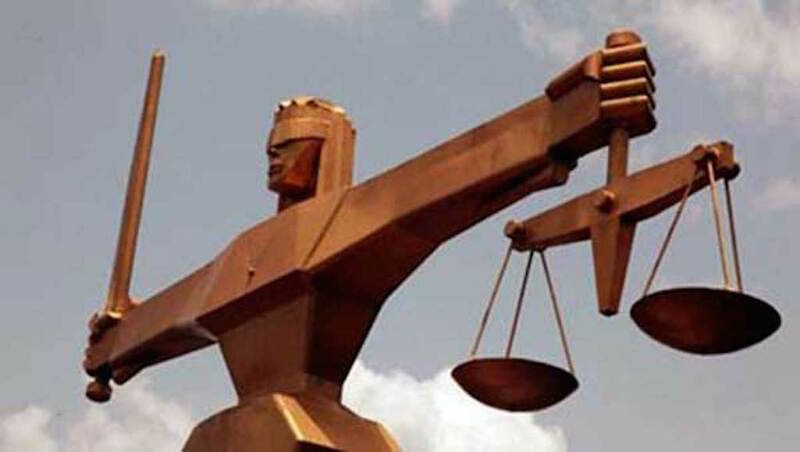 In a lawsuit he filed against the PDP, the Independent National Electoral Commission (INEC), and Mrs. Ekwunife, Mr. Maduekwe made the unassailable case that the party, having orchestrated a sham instead of a primary, should refund the N4.5 million he paid in expectation of participating in a true electoral process. The judgment validated Mr. Maduekwe’s ethical posture, in particular his repudiation of the anything-goes mindset that plagues and disfigures Nigerian politics. But the verdict means more than a personal triumph. On a deeper level, the judgment represents a cautionary moment for Nigerian politicians, especially those crooked officials who run political parties. It’s no secret that most, if not all, of Nigeria’s major political parties are guilty of rigging primaries, imposing candidates, and defrauding many aspirants who take out nomination forms that often carry steep price tags. The criminal manipulation of primaries had become one of the ways that unscrupulous party officers amassed illicit lucre. In obtaining a judgment against the PDP, Mr. Maduekwe has become something of a pioneer. Thanks to his victory, going forward, the PDP and other political parties know that they can no longer afford to stage shameful hanky-panky in the name of primaries. Any political party that disregards the clear implications of the legal precedent established by Justice Goodluck’s judgment faces the risk, quite simply, of being slammed with a lawsuit. On his part, Mr. Maduekwe deserves celebration for keeping his head when most people around him were losing theirs. A person of his ethical disposition and moral spine shows that it pays to do the right thing. Okey Ndibe is an author, most recently of a memoir, Never Look an American in the Eye.